Many travelers are wondering what Sonoma County is like a year after the Northern California wildfires in October 2017. While devastating, only 10 percent of Sonoma County’s 1 million acres was impacted by the October 2017 fires. Much of the terrain has seen regrowth and most of the county has retained its pristine landscape. 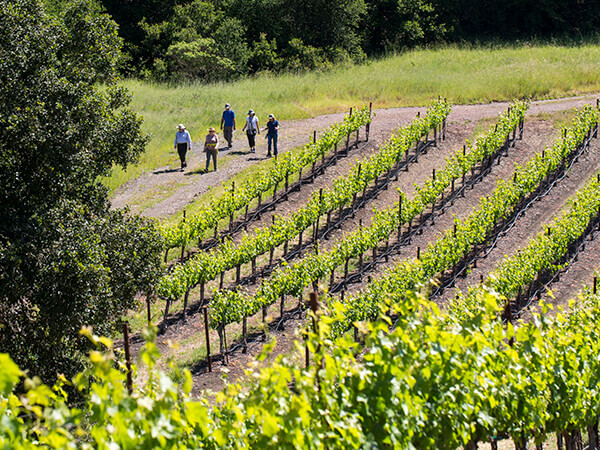 Of the more than 90 percent of Sonoma County not affected by the wildfires, you'll find vineyards, nature and history parks, beautiful vistas, oak-studded hills, a dramatic Pacific coastline, and towering redwoods. Only one winery was lost in the fires. 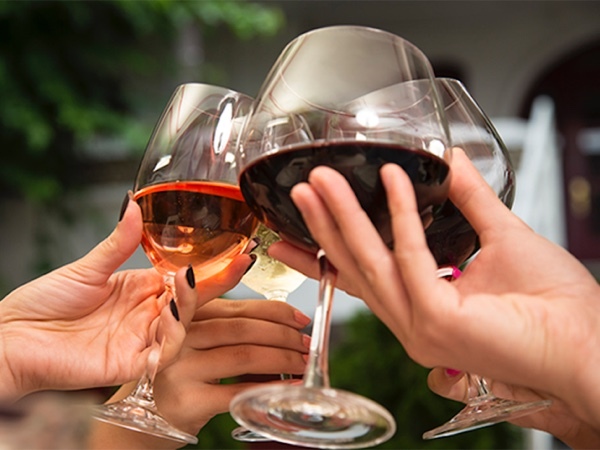 But, with over hundreds of wineries countywide, you've got a lot of options to check out. Here's a few wineries we recommend for first-time visitors, and some of the top California wine tours in Sonoma County. While the Paradise Ridge tasting room in Santa Rosa was lost, the popular art sculpture garden has been open on the weekends through Oct. 28, 2018. Wine club events have also been hosted. Ground has been broken on the new tasting room, which is expected to open by the end of 2019. And the Paradise Ridge tasting room in nearby Kenwood is open to guests and pouring their award-winning wines. Stop by and say hello when you are in the Sonoma Valley. If you aren't into wine we still have more than 40 breweries, distilleries and cider houses open as well. We have hundreds of hotels, inns, B&Bs, campgrounds, and vacation rentals and all manner of unique places to spend the night in Sonoma County, and they are open. Three hotels in Sonoma County were lost in the fire. 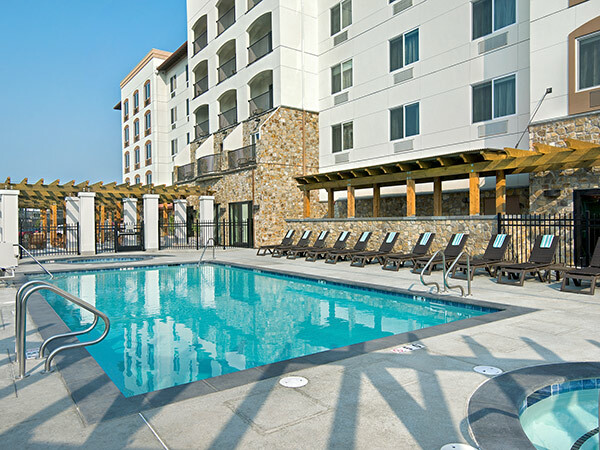 However, Sonoma County is in the midst of a boom of hotel openings. Three recent openings include the Holiday Inn Windsor Wine Country, Oxford Inn & Suites in Rohnert Park (pictured), and the boutique Astro Motel (in Santa Rosa). Several other lodging properties are opening or expanding within the year in Petaluma and Santa Rosa. The number of hotel rooms available in Sonoma County remains the same, meaning you have many great options for where to stay when visiting Sonoma County. Browse our website for lodging ideas, and be sure to check out the deals page to find special offers before booking. Sonoma County is open for business, from the Sonoma Valley to the Sonoma Coast, and from Petaluma to Cloverdale. There are a variety of events and festivals year round, making now a perfect time to explore the region and enjoy quiet tasting rooms, beautiful redwood forests, and gorgeous beaches. Visiting now supports the thousands of local residents who work in the hospitality industry, and fuels our local economy. Fun fact: Did you know that 91 percent of our tourism businesses are locally owned? When you visit Sonoma County, you support Sonoma County families. Less than 500 vineyard acres were damaged or lost in the fires, out of more than 60,000 total acres planted to grapes. Sonoma County itself is one million acres in size. Grape vines are resilient and acted as natural firebreaks, not only surviving, but helping to slow and stop the spread of wildfires. The 2017 winegrape harvest was 90 percent complete prior to the onset of the fires and the wine was in the tanks. Vintners have a positive outlook about the 2017 wines and are committed to only releasing the high-quality wines that Sonoma County wine enthusiasts have come to know and love. 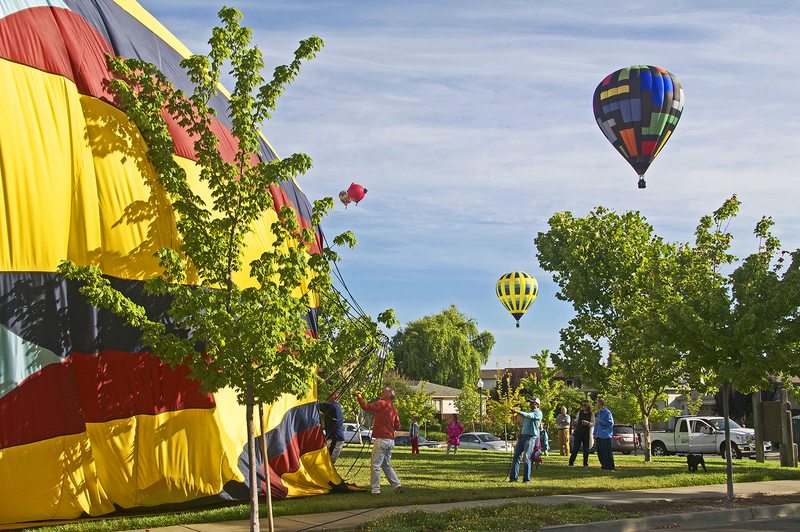 Sonoma County's welcoming and picturesque communities are all still here. Come visit. And bring your friends.